Training.com Blog: Big Data and Data Analytics : Why 'YOU' should know about it ? Big Data and Data Analytics : Why 'YOU' should know about it ? To start with Big Data Analytics, we must know what Big Data is as compared to our real world. Practically, Big Data is something that we frequently face in our day to day life. If a data has outgrown the storage and processing capabilities of a single host, then such data is considered as a Big Data .As the name indicates, Data with an enormous size and high complexity that is difficult to store and process is a Big Data. Functionally Big Data is similar to ‘small data’ , but bigger in size. Bigger data requires different approaches in terms of techniques , tools and architecture. Fundamental challenges involve are : How to store and How to work with voluminous data sizes. Most importantly is how to understand data and turn into a competitive challenge. 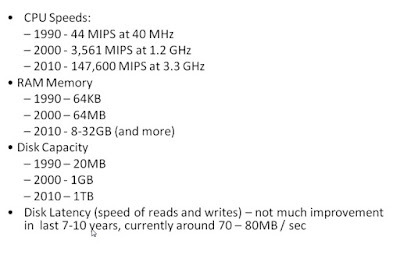 The above data clearly shows that we had made adequate contribution towards factors like CPU Speeds, RAM etc. 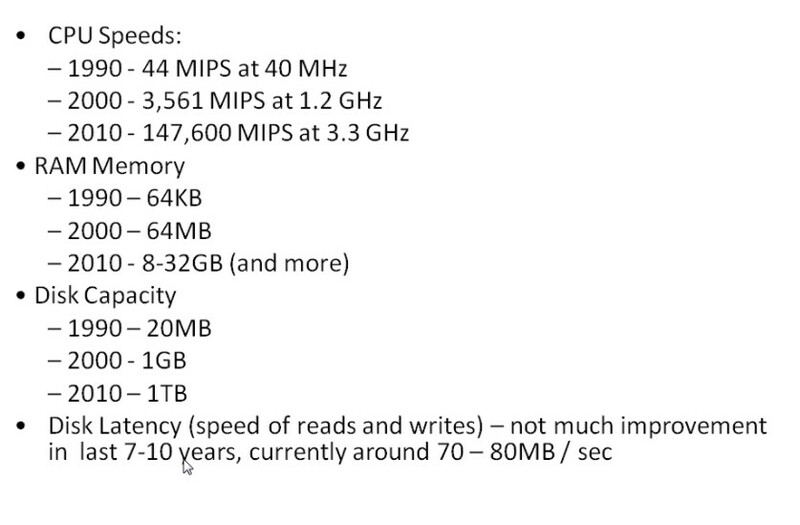 but we are still lagging behind in terms of Disk Latency. The key responsibility is to introduce specialized algorithms that will enhance the processing speed and capabilities of our systems which can understand more complex data well enough to process them. Big Data Analytics is the modern day subject that takes birth as a remedy tool for Big Data. It includes specialized techniques that are different from our traditional techniques for handling data. Away from only database and programming skills, multiple skill sets are required in this field. It’s a combination of statistics, programming and database skills. As already discussed Big Data is something that causes malfunctioning of our data management systems. On the other hand it’s the part of the day to day general data and nobody wants to lose even a single piece of data. Each and every data is important in terms of business. Hence rather than skipping such data they require to store them which stands very costly and difficult to process. Every firm now-a- days are in a very urge need of Big Data Analytics. 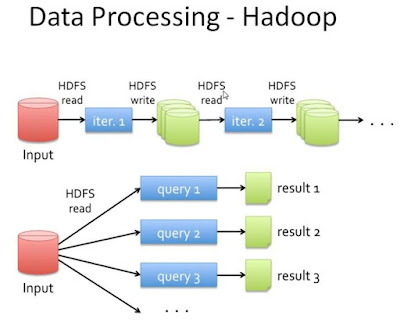 Modern frameworks are introduced to handle Big Data like HADOOP, SPARK etc. These technologies use a different approach to analyse and process data. Instead of using physical data base they use virtual database that reduces the storage cost and processing time up to a great extent. 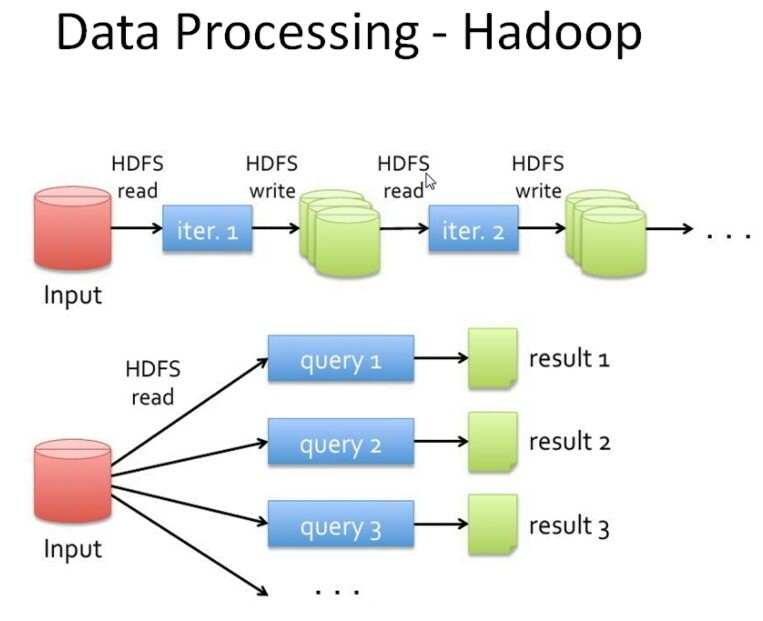 Unlike traditional systems , Hadoop implements multiple individual processes iteratively instead of one single batch process that makes it lot efficient and faster for processing and storing data .Below diagrams shows the difference. A McKinsey Global Institute study states that the US will face a shortage of about 190,000 data scientists and 1.5 million managers and analysts who can understand and make decisions using Big Data by 2018.For people interested in this field, it will be a job assurance field with higher salary packages and perks.